KONVERT™ TV is a customizable video narrowcasting platform for easy, rapid deployment of branded video, images and messaging to television screens. Perfect for lobbies, work areas, retail counters, tradeshows and public spaces. 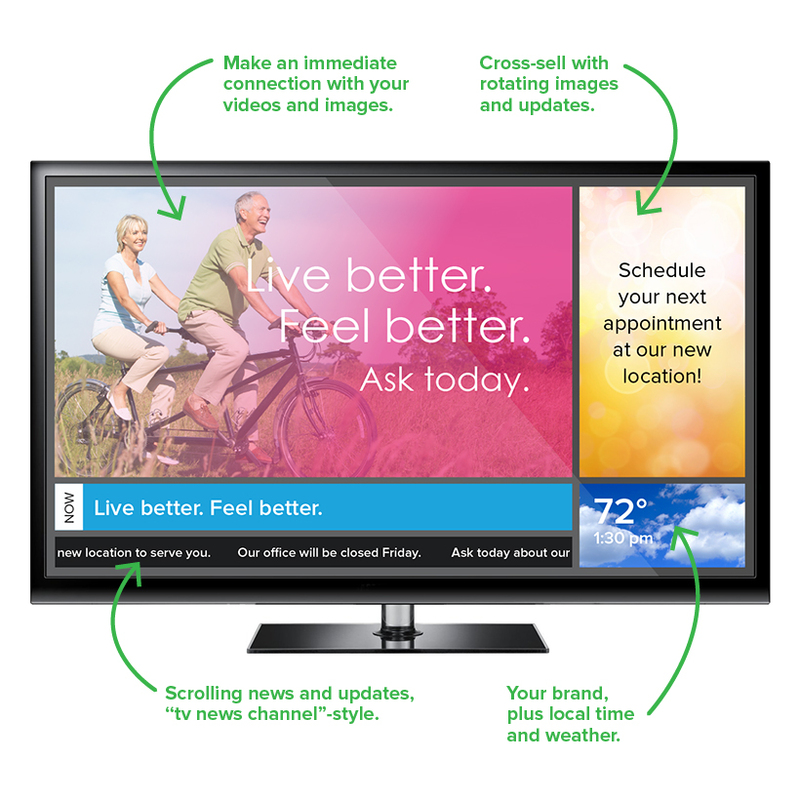 Control Your Message With KONVERT™ TV! With 81% of companies using video marketing in 2018, the power of video is not to be underestimated. KONVERT TV is your easy, affordable entry into targeted video communication. Engage and educate patients with facts, tips and visit reminders. Easily update students and faculty across all corners of campus. Greet and inform guests with compelling and timely promotional content. Stand out from the crowd and win with tailored video marketing. Instantly update and narrowcast clear communications, company-wide. Influence consumers in the moment, where they shop.